The double composite fire extinguisher stand is ideal for placing anywhere where a wall fixing is not viable. 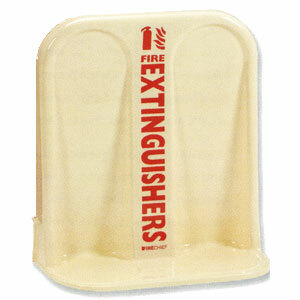 Made to fit any size and make of extinguisher. Available in red, grey or cream.